The striking series When Fashion is Losing its Sense of Self by Roos van de Kieft examines the value of clothes and self-identity in a world where social media allows to build versions of ourselves. 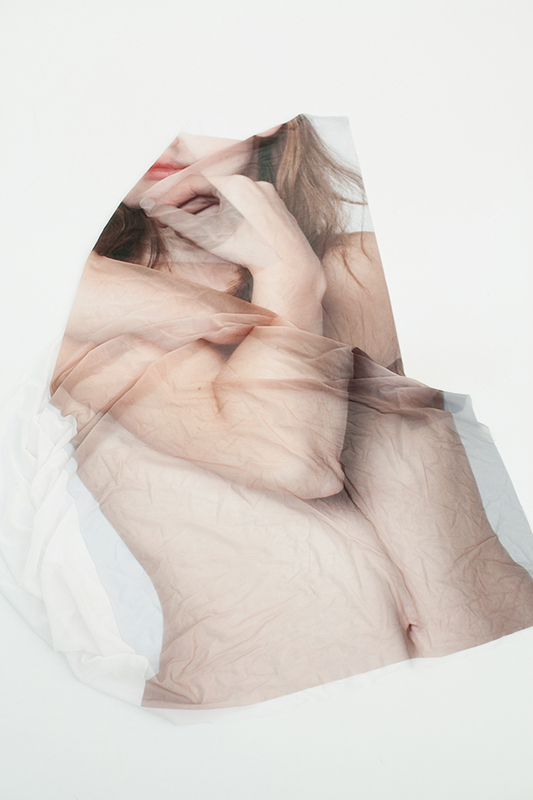 With her model wearing fabric printed a picture of her own flesh and skin, the photographer and visual artist celebrates the originality and uniqueness of every single person’s identity. See more on her website and Instagram.